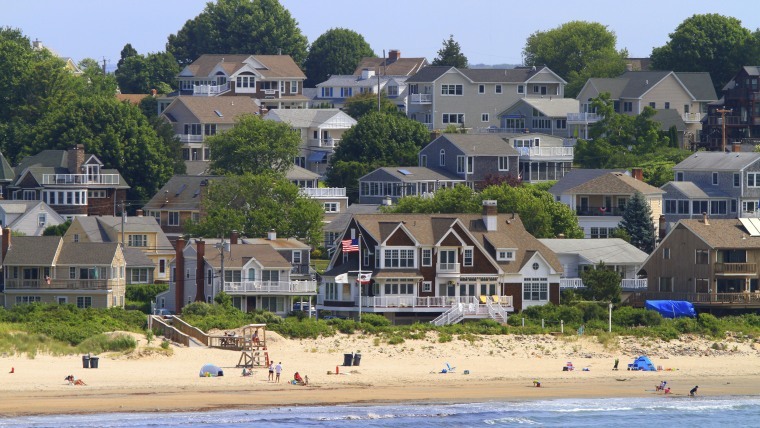 Newport might get more travel buzz thanks to its sailboats and mansions, but families seeking gorgeous beaches will appreciate the beach town of Narragansett (known locally as "Gansett"), just 30 minutes away. You can divide your time between the dramatic waves of Narragansett Town Beach, which is popular with surfers, and the calm waters of Roger Wheeler State Beach, on the Block Island Sound. With a pair of turrets facing the sea and a porte-cochère that stretches across Ocean Road, the granite, castle-like structure known as The Towers is the sole remnant of the Stanford White–designed Narragansett Pier Casino, which was mostly destroyed by fire in 1900. Today, the impressive building hosts special events, but is also open for tours and houses the town's visitors' center, making it a worthwhile first stop. From Galilee, a quaint fishing village, you can catch the 30-minute high-speed ferry from Point Judith terminal for a day trip to sleepy Block Island, which is just 13 miles south of the mainland but feels like another world. Since the island is just 10 square miles, you're never far from a beach and it's easy to explore by bike or on foot. The Break, which is near Galilee at the quieter end of Narragansett, is a stylish, boutiquey option (yes, there's a rooftop bar) with prices to match. The 16-room hotel describes itself as having a "retro-chic surf vibe" and the rooms have perks like Apple TVs, heated bathroom floors and Keurig coffee makers. Book ahead, since only the four suites have a second bed, or if you want even more space to spread out, ask to reserve adjoining rooms (there's one pair that connects). Clean and fuss-free, the Anchor Motel is directly across from Scarborough State Beach, which has lifeguards, a boardwalk and an observation tower. Room 14 has the best water view, and the two B&B rooms, which are in a separate house near the motel, have a large shared porch and lounge area. The owners also manage a rental house in the private beach community of Bonnet Shores, which can be reserved through the hotel website. Monahan's Clam Shack is the quintessential New England seafood spot, offering fried platters, lobster rolls and nightly specials like fish tacos. (For the picky or fish-averse, there are burgers and hot dogs as well.) The outdoor deck has picnic tables overlooking the water, and there are games like Jenga (with oversize pieces) and corn hole in the backyard. For dessert, the beloved Brickley's Ice Cream nearby has a dizzying array of flavors like cake batter, ginger and malted milk ball, as well as a handful of no-sugar-added options. Allie's Donuts is a local institution: Although the main shop is in North Kingstown, you can often find the fresh, flavorful treats at Narrangansett farm stands or food trucks (check the Facebook page for updates and photos of their legendary custom cakes, which have months-long waiting lists).